Seonggeon-dong, Gyeongju, is the street of youth. This place has been crowded with the youths due to neighboring college campuses. By exploring every inch of Seonggeon-dong, I could taste the pleasure of youth and vitality and discover decent cafés. Why do we seem to feel the cold more on rainy winter days rather than snowy winter days? When the winter rain was drizzling down, I snuggled up inside the café to keep out the cold. 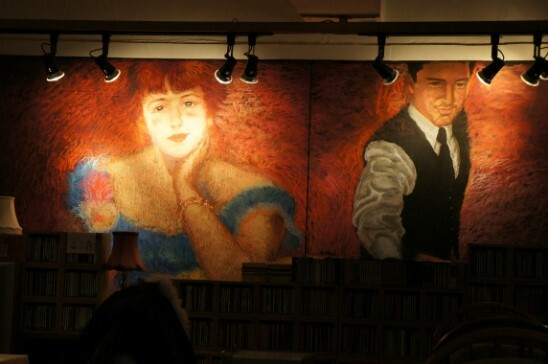 Café “Yan”, located on Dongdae-ro, has a married couple of baristas. Barista Yu Yeong Hui, the wife who was fresh from college to train to become a barista, has spent a lot of time with coffee. It’s been ten long years since she went back to the coffee business that she had to give up due to a marriage and infant care. Moreover, she is the person who made her husband, barista Son In Seok, join the coffee business. 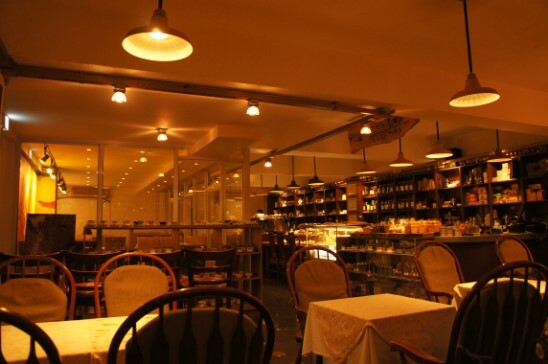 In the café, they personally roast green beans serving fresh coffee. (Green beans are coffee beans before roasting.) What kinds of coffee do they have? Let's go up to the second floor. One of my friends, a rookie barista, once said to me that one of his favorite coffees is the most acidic. As the saying goes, birds of a feather flock together; I asked the barista for acidic coffee. The barista just happened to have roasted Honduran coffee beans with sour taste. Therefore, I decided to choose Honduran Coffee as today’s special coffee. There is a process to roasting green beans. While roasting, we could hear the cracking of green beans that called “crack”. Acidic coffee is born right after the first crack. The more we know about coffee, the more difficult it seems to brew it well. Take a look at the latte art of barista Yu Yeong Hui, which I almost missed. In Gyeongju, cafés making latte art are unusual. The barista takes time to learn latte art from a famous expert considered one of the best in the country. 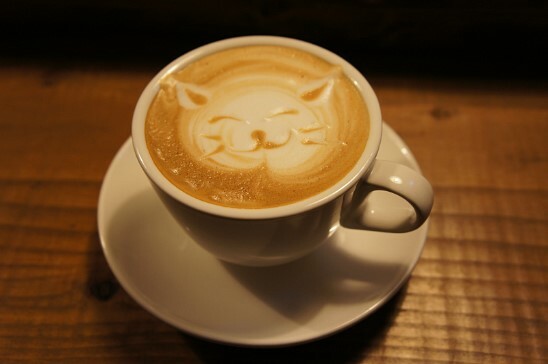 Cat latte ranks first in order of popularity among female college students. Even though I’m not a female college student, I’m a big fan of it. Dog Latte ranks second in order of popularity. While I’m chatting with barista Yan (Yu Yeong Hui), her husband, barista Son In Seok, comes in. Barista Son, with his impressive long yellow hair, is a delightful person who performs live on stage and plays the guitar for customers on weekend evenings. His performances are entirely up to barista Son’ mood. Drop by on a weekend and ask him to sing a song. In café Yan, you can also experience roasting twice a day at 11am and 5pm by making a reservation at least a day before your visit. Café Yan provides education for those who want to start a coffee business. In many different ways, the life of the Yan couple is filled with the aroma of coffee. 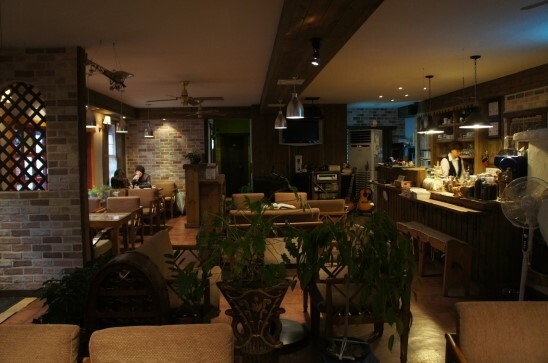 Café “Yan”, located on the roadside of Dongdae-ro, is easy to find. Bus Route: Catch the No. 40 or No. 41, and get off at Seonggeon Jugong Apts. station. 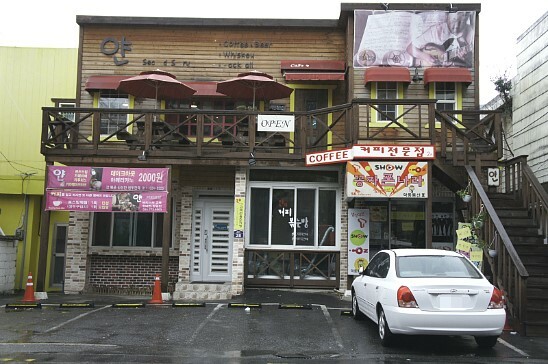 Walking down to Dongdae-gyo, café “Yan” is on your right. It has not been very long since I first heard about Schumann & Clara. While staying in Seoul, I visited my friend’s café so frequently that you could say I almost lived there. During those days, I was reading a book related to coffee. In that book, I met Schumann & Clara. It was weird that I was born and raised in Gyeongju, but I had a chance to learn about this café, which opened in Gyeongju more than 10 years ago, in Seoul by reading a book. Now, I could personally visit the most famous café that I learned from a book: Schumann & Clara. I was agitated after hearing what he said. Taking a picture is why I was here. Sitting at the bar, I stealthily took out my camera and could barely get permission to click the shutter with the help of an acquaintance. Barista Choi solemnly said a few words as follows. Maybe its character that has brought “Schumann & Clara” up to its current height. Barista Choi has particularities of his own style that are not revealed recklessly, and then there are persons who are curious about these things, like me. I took a trip down memory lane to find out about the book, entitled a coffee diary, in which I met Schumann & Clara. 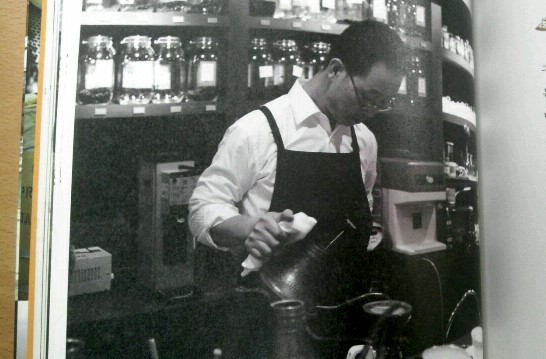 I would like to see the stocky looking barista Choi as he appears in the book. Unfortunately, I have to be content with just the picture of him because he has left for a business trip to Seoul. Barista Choi Gyeong Nam teaches coffee business at Gyeongju Lifelong Learning Cultural Center. He always does a perfect job to foster a younger generation and to make a competent coffee. He has never given up. Tasting coffees that are produced in various countries makes you feel like you’re traveling around the world. In the afternoon, I tasted Honduran coffee and Brazilian coffee in café “Yan”; in the evening, l tasted smooth Guatemalan coffee in café “Schumann & Clara”. I could indirectly sense the coffee journey that I had dreamed about and wanted so very much to try. Café “Schumann & Clara” has a menu of coffees recommended by masters. By choosing one of these coffees, you can hear the story related to coffee as a freebie. The Guatemalan coffee, served as American style, is one of the masters’ recommendations. *This place is also for music. A painting of Schumann and his eternal lover Clara occupies one side of the wall; musty old LPs are found along the opposite wall. 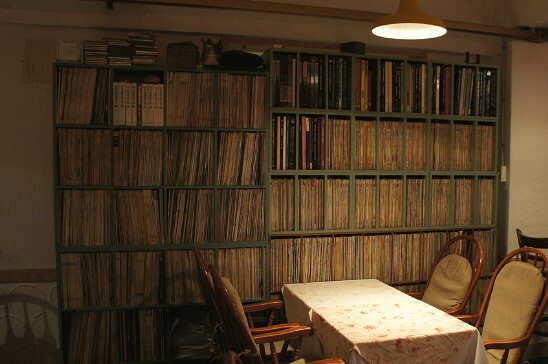 Old books which rest on a low bookcase by the window are related to music. 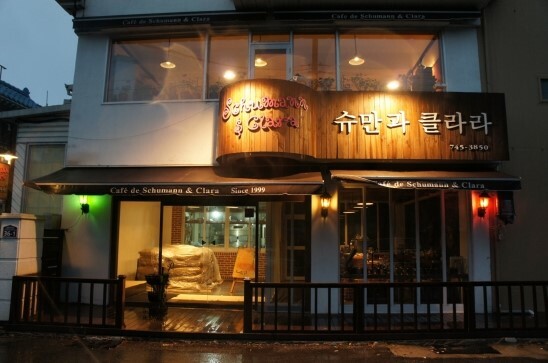 The café “Schumann & Clara” is also a place for music. That makes the café “Schumann & Clara” a perfect gathering place for a music appreciation society. A sweet melody of jazz and classical music seems to heighten the senses of people tasting coffee. Coffee with a piece of bread is one of the attractive elements of café “Schumann & Clara”. For some unavoidable reasons, I had to fast in the evening and for that reason I bought the piece of marron (chestnut) bread that you see in the bottom left corner of the photo. After I pestered a clerk for a recommendation of the most delicious bread, I was able to get the chestnut bread called marron bread for my friend. (Marron is chestnut in French) My friend said, “Finding a chestnut inside of bread is like playing a treasure-hunt game. I heard that only quality ingredients are used in making this soft/moist bread that deserves to earn a reputation.” I’m just about to go back to eat marron bread. “Schumann & Clara” is in a residential area. Go to Gangbyeon-ro from Dongdae-ro then go toward Heungmu Elementary School along Gangbyeon-ro. You might find a signboard. you should find Haedong gas station on the street first. Get into the alley beside the gas station and continue walking until Gangbyeon-ro. Then you can find it on your right. This post was very interesting and helpful. I am visiting Gyeongju on a rainy morning, just about to go drink some delicious coffee!